Fishing for eel (Anguilla anguilla) is prohibited from October 1 to January 31. Closed season starts on October 1, 2018 and it will come in force everywhere in Finland except in Åland Islands. All eels caught during the closed season must be released immediately back to water. European eel is critically engangered. Purpose of this action is to support conservation of eel stocks. 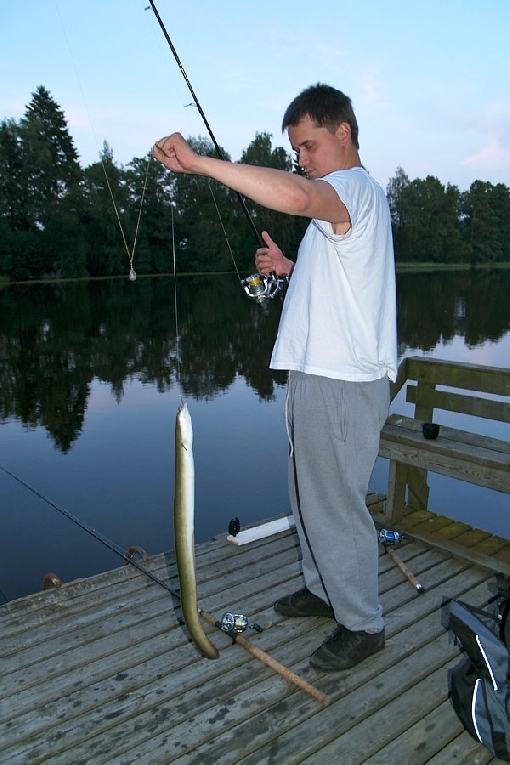 In Finland eel is primarily caucht by recreational fishermen and the main fishing gears are long line, angling rod, wire trap and trap-net. Most eels are caught as bycatch. European eel is a catadromous species. The spawning grounds for European eel are located in the Sargasso Sea in the North Atlantic. After hatching the larvae drift towards Europe. They travel with ocean currents to the coasts of Europe within one to three years. When approaching the continent in the end of trans-Atlantic migration, the larvae metamorphose into a small transparent eels; stage is called glass eel. As the eels grow, they become elvers; tiny pigmented eels. Next step is to take residence in rivers and stillwaters and develop into yellow eels. After a growing period ‒ approximately 5‒20 years ‒ mature silver eels migrate back to Atlantic Ocean.